Canadian pork back ribs, featured now for only $3.99 a pound - get gooey and happily full with this great finger food! 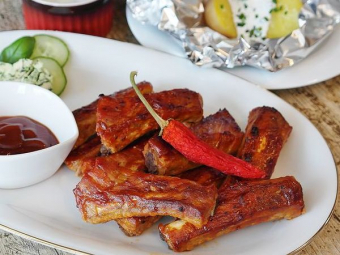 Whether you BBQ these ribs or put them in the oven, they taste amazing! Leave the whole family smiling with messy hands and faces after feasting on scrumptious Canadian pork back ribs.